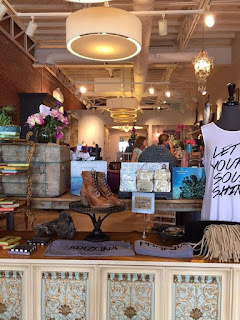 Muse Apparel is the first new tenant to open at Uptown Plaza, which has been undergoing a massive renovation since mid-2014. Muse Apparel is the first new tenant to open at Uptown Plaza, which has been undergoing a massive renovation since mid-2014. The 10-year-old women's clothing boutique, previously at Seventh Street and Glendale Avenue, occupies a space next to AJ's Fine Foods.